It is not an easy task to spot a fake product while shopping online. 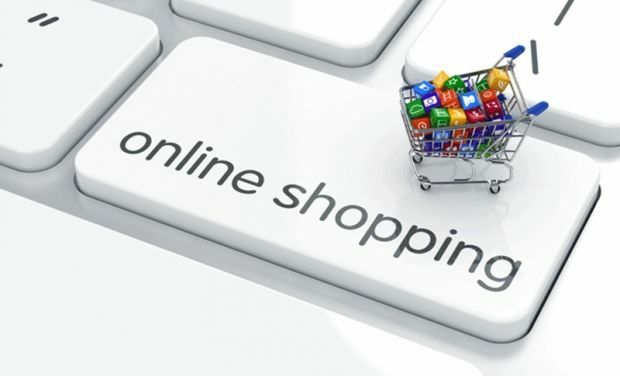 Online shopping has become quite popular among the Internet savvy younger generation. While the ecommerce industry has seen tremendous growth over the last few years, the sale of counterfeit products remains a huge problem for online shoppers. In fact, various surveys have shown that a third of ecommerce customers are getting fake products. 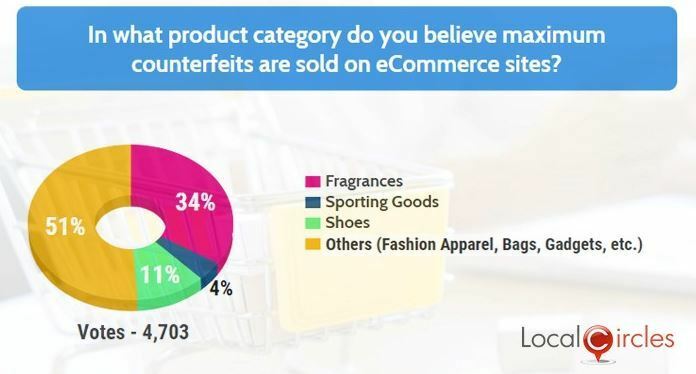 Sample this: A recent survey conducted by LocalCircles shows that 38 percent respondents out of 6,923 have been sold counterfeit products from an ecommerce site in the past one year. Among the leading ecommerce sites, 12 percent of the respondents said they received fake products on Snapdeal, 11 percent cited Amazon, and 6 percent said Flipkart. Another survey conducted by market research platform Velocity MR showed that one out of three online shoppers have received fake products while shopping online in the past six months. The survey was conducted among 3,000 respondents. Counterfeit products ranging from perfumes to branded shoes and fashion apparel have been sold to customers, according to these surveys. So, if you are an online shopper, here is how you should do your due diligence before making that purchase. One way to gauge the genuineness of a product is by comparing certain aspects of what is listed on the e-commerce site with what is there on the brand’s official website. These could be the model number, difference between the maximum retail price (MRP) on both sites, packaging, accessories that come along with it, logo and other fine details. Further, if you’re buying a mobile phone online, be sure to check if the IMEI number on the box and on the product match after you get your purchase. “The problem of counterfeit products is all over the world, not just in India. Ecommerce sites operate on marketplace models and with millions of third-party vendors it is difficult to check if they are selling genuine products,” says Arvind Singhal, Chairman and MD, Technopak. A marketplace model is an online store where multiple third-party vendors come together to sell their products on one platform. Most ecommerce websites like Amazon and Flipkart follow this model. It works like an aggregator to link sellers with buyers where the ecommerce website lists different products from various vendors. That’s why comparing the deal that other vendors or sites are offering with the brand’s official site is helpful. Does the assurance or fulfillment tag on product ensure genuineness? On Amazon you will find the ‘Amazon Fulfilled’ tag against certain products. Items ‘Fulfilled by Amazon’ are offered by a third-party seller, but shipped from an Amazon Fulfillment Centre to you. In this case, all post sale customer service is handled by Amazon. Similarly, on Flipkart, you’ll find the ‘Flipkart Assured’ tag against certain products. The ecommerce giant, says on its website, that these products are sourced from credible vendors and this tag assures that the product has gone through multiple levels of quality checks. Further, it will have an accelerated delivery process to enhance the customer experience while shopping. However, there’s no declaration on the website that the product you are purchasing is genuine. The above-mentioned tags only ensure a smooth shopping experience. “I think to curb this menace of counterfeits, a criminal prosecution against the vendor should be initiated. Blacklisting such vendors on the ecommerce platform alone won’t help and certain regulatory support can come in handy in this scenario. This can be done only by the marketplace and not the consumers. A consumer doesn’t have the time and capability to take such actions. So, it is the ecommerce platform that needs to take the ownership to bring these cases of counterfeit products to a logical conclusion,” Singhal adds. It is not an easy task to spot a fake product while shopping online. If you are unsure about a product, first thing you can do is check the seller rating and product review. These ratings and reviews are a useful tool to get a sense of the credibility of the product. With the help of product reviews from verified users, you will know exactly what you are going to buy, what is being offered, and what you can expect from the product. Product reviews have become more important since you cannot touch and feel the product prior while scouting from products online. Other than checking the product rating and review, going through vendor’s rating and review is also helpful. This is another watch out you need to be aware of. A clear return policy increases a consumer’s confidence that what he’s buying is genuine and it is exactly what has been displayed on the website. It also increases the credibility of the retailer as if a retailer doesn’t give this guarantee, then consumers often become suspicious and avoid buying the product. So, for instance if you end up buying a product which you later feel is not genuine , you can return it within the cooling-off period and ask for a refund. Beauty products, fragrances are available at phenomenal discounts on ecommerce websites but cannot be returned and it may be noteworthy that as per the survey conducted by LocalCircles, 34 percent of the respondents identified perfumes and other fragrances as the top category for counterfeit products on ecommerce sites. There ain’t no such thing as a free lunch! This may sound cliched, but while shopping we don’t realise it. The urge to buy a luxury piece at a ‘throwaway’ price is hard to resist. The ecommerce players may have lower operational costs in comparison to traditional stores, but when it comes to branded products, the price variation cannot be too much. There’s a standard discount available on branded or luxury products. So, if you are getting a better discount than what’s generally available, you should be suspicious. Don’t take it sitting down, after all it is your hard-earned money. Don’t just settle for return or refunds if you are sold counterfeits. “Consumers should notify the ecommerce website and nudge them to take strict action against such vendors. And if they don’t get a satisfactory response, they must raise it on social media platforms,” advises Harish HV, an independent brand consultant and former partner with Grant Thornton, a leading advisory firm.